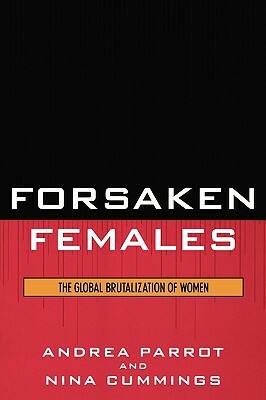 *Author: Parrot, Andrea/ Cummings, Nina *Subtitle: The Global Brutalization of Women *Publication Date: 2006/06/14 *Number of Pages: 252 *Binding Type: Paperback *Language: English *Depth: 0.75 *Width: 6.00 *Height: 8.75. With over thousands of new, unique products in inventory, UnbeatableSale.com is sure to have what you want today. Buying Forsaken Females By Parrot, Andrea/ Cummings, Nina through an authorized dealer such as UnbeatableSale.com is the only way to ensure its quality and authenticity. The retail list price on this product is $47.61. If you buy from UnbeatableSale.com today, you'll save 5% or more! Shipping charges are calculated based on the contents of your order, the delivery option you choose, and the destination. At UnbeatableSale.com, we guarantee you won't find any of our unique deals anywhere for less. If you do, we'll match that price before the order is placed. Posterazzi BALBAL49891 Portrait Of Andrea Quaratesi C.1532 Poster Print By Michelangelo Buonarroti - 18 X 24 In.